Hey Roller Derby fans! 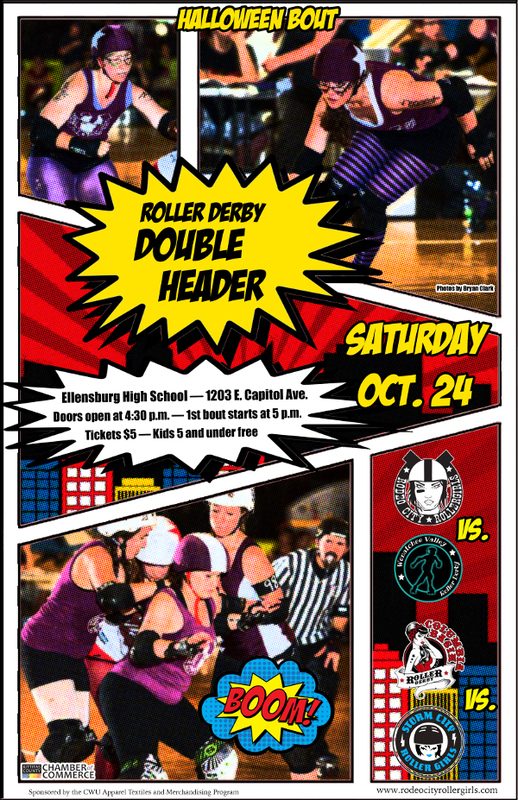 We hope you can make it to our next event, it’s a double header and our annual Halloween bout! Two bouts for the price of one and tickets are only 5 bucks! Show up in costume and watch some roller derby tricks and eat some treats! Rodeo City Rollergirls will take on Wenatchee Valley Roller Derby, and Columbia Basin Roller Derby will be up against the ladies from Storm City Rollergirls. The fun all happens at Ellensburg High School, first whistle at 5pm. Get your tickets online up until bout day @ noon. -> Get Tickets! Tickets are available at the door as well.